Persistence of vision toys flash LEDs with proper timing to make it look like you're spelling words from thin air. Now, a new app exploits that phenomenon on the iPhone. 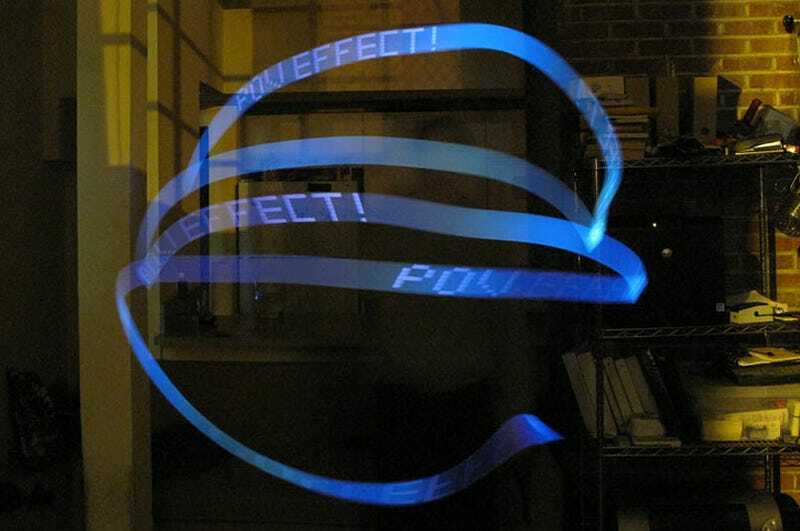 "Light Writer - POV Effect" by Laan Labs allows you to create text or image POV illusions with your phone. You just type in your message or select a piece of clipart, wave your arm in the air (night works best) and create "magic" that would have gotten you burned at the stake just a century ago. Light Writer is available now for $1, which sounds well worth the 30 or so minutes of entertainment you'll get from it.